The public policy environment is chock full of warning signs for the nonprofit sector. One of the most important at this moment is a Congressional attack on one federal program recognized for its explicit provision of administrative support funds to nonprofits charged with carrying out program activities: the HOME program in the Department of Housing and Urban Development. Congressional Republicans have taken aim at the HOME program due to sloppy record keeping and reporting by HUD program monitors and sometimes-chaotic program reporting by local municipalities. At risk if Congress successfully chips away at HUD and HOME is not simply a very important program for the rehabilitation or construction of affordable housing but also a program with a built-in role and funding mechanism, including general operating support, for nonprofits—in this case, nonprofit community development corporations (CDCs). The HOME Investment Partnerships Program may be the most important program to come from the National Affordable Housing Act of 1990. The law specifically mandated that a minimum of 15 percent of a participating jurisdiction’s HOME allocation would be reserved for projects sponsored or developed by nonprofit organizations—in the parlance of the legislation, “Community Housing Development Organizations,” or CHDOs. In comparison, the Community Development Block Grant program has no mandate of funding for nonprofit developers. The HOME 15 percent CHDO production set-aside is routinely exceeded, as CHDOs or CDCs have consistently proven their willingness to take on housing production that meets the very deep HOME target income levels: for rental housing, 90 percent of the beneficiaries to be at or below 60 percent of HUD median income levels; for all HOME-assisted housing (rental and ownership), cumulatively below 80 percent of HUD medians. In addition to the CHDO set-aside, participating jurisdictions could allocate another 5 percent of their HOME funding for CHDO operating support. Many state and local governments took the CHDO operating support requirement seriously, and created solid programs of operating support and technical assistance for the nonprofit developers, including the Minnesota Housing Finance Agency, the Virginia Department of Housing and Community Development, the Georgia Department of Community Affairs, the City of Cincinnati, the City of Fort Worth, and others— though, unlike localities exceeding the CHDO 15 percent set-aside, many devote less than 5 percent of their HOME funds, or none at all, toward CHDO operating. Nonetheless, the 5 percent for operating support constituted an important federal recognition of core support funding to build nonprofit sector capacity. Even the national CHDO technical assistance program allowed TA providers to provide “pass-through” funds to the organizations receiving training and help. For FY2011, the HOME appropriation was $1.6 billion, though for FY2012, the Republican-dominated House of Representatives has suggested $1.2 billion and the Democratic-dominated Senate only $1 billion, figures that have fallen from the $1.81 billion in FY2009 and $1.83 billion in FY2010. Like other discretionary spending programs, the HOME program is at risk of facing bigger reductions at the hands of the members of the “budget supercommittee,” but the crisis of the moment isn’t the supercommittee’s decision due two weeks from now but rather the repeated investigations of HUD’s administration of the HOME program led by a crack investigative team at the Washington Post (and, more recently, Congressional hearings that have HUD officials on the rack). Republicans in Congress fanned out to find examples of HOME projects that were reported as completed but didn’t exist, and they found examples of vacant lots and vacant buildings, duplexes counted as 6-unit buildings, and the like—not many, but these became fodder for Congressional-show hearings. “Where’s the money? Where are the units that were promised? Has HUD demanded repayments for units that were not built?” bemoaned Judy Biggert (R-IL) before a House Financial Services Committee hearing on HOME program abuse. In one of the weirdest pieces of testimony, a “Jane Smith” described from her federal jail cell how easy it had been for her to rip off HOME funds while head of the Gary Urban Enterprise Association. Someone might want to tell “Jane” that by identifying herself as GUEA’s former executive director, she basically outed herself as Jojuana Meeks, who pled guilty some years ago to filching money from her organization (in her testimony she said she “misappropriated” the money that ended up in her pocket). Democrats pointed out that “Jane” or Jojuana made a political contribution to the National Republican Congressional Committee at the same time, essentially making the point that Republicans had benefitted from her HOME fraud. Congressional antics aside, however, the continuing HOME brouhaha focused on purported HOME “waste and fraud” jeopardizes a significant source of funding for affordable housing—and for nonprofit housing developers. Until its demise, GUEA was a nonprofit and may or may not have been designated a CHDO as well. 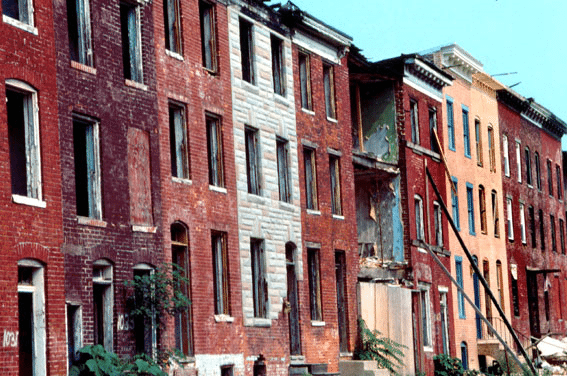 The misreporting of HOME program results by local governments, the pressure they seem to have felt from HUD to count units and successes before they were ready, HUD’s own reporting problems—all administrative problems outside of the work of developing affordable housing for low-income people—could give a black eye to nonprofit community developers that deserve better. Everyone has to realize that nonprofits developing HOME-subsidized rental and homeownership projects are taking on the toughest of housing development efforts: trying to house low- and very-low-income households in the midst of a recession in which the housing market has tanked and banks have shut the spigots of their financing for affordable housing developers. HOME is the distinctive product of nonprofit advocacy that began years ago with the aim of creating a program that not only subsidized the construction of affordable housing but also the strengthening of the nonprofit sector dedicated to that function. The explicit commitment to funding and technical assistance for CHDOs emerged from the advocacy of CDC trade associations such as the National Congress for Community Economic Development and its state association members, and from community development intermediaries such as the Local Initiatives Support Corporation and the Enterprise Foundation (now Enterprise Community Partners). The Community Development Block Grant program is not the same as HOME nor a replacement for it. Some observers might think that the 15 percent part of CDBG that is often used to fund nonprofit human service groups engaged in activities broadly supportive of community development goals is equivalent to the CHDO set-aside in HOME. It’s not. As important as it is, it is a human-service funding component, often used to fund city agencies as well as nonprofits, and many cities dole out grants from that portion of CDBG almost as patronage. The public hearings on cities’ CDBG programs tend to be little focused on community development strategy and priorities, and mostly on groups asking for a slice of the 15 percent. The other administrative funding in CDBG, tucked in in several places, goes frequently to city agencies and to for-profit developers. But HOME isn’t just funding for nonprofits. It is a program designed on a theory that the federal government ought to be concerned about the health and sustainability of the nonprofit sector that is vital to the health and sustainability of urban and rural neighborhoods. Remember that along with the HOME program came a healthy federal commitment to technical assistance for CHDOs, focused not just on helping them understand housing finance but also on how to function as responsible, accountable, nonprofit organizations. Despite lip service given to nonprofits in many programs coming out of the White House and its Democratic allies in Congress, nonprofits have had to fight their way into major programs and fight to maintain their tenuous toeholds. In many initiatives, nonprofit community organizations are simply included in lists of potential participants along with state and local governments, Indian tribes, local businesses, public schools, and more. Nonprofits are just one category on the list, not a distinctive category that plays a different role than the other sectors. Somehow, the crucial role of nonprofits in making the stimulus work to protect millions of Americans from falling further into poverty and joblessness, the work of community action agencies carrying out weatherization programs, Head Start agencies providing care and education for preschoolers, community health centers filling the huge gaps in health care—all of that distinctive nonprofit function and track record seem to escape our nation’s top governmental executives. As for the Republicans, forget about whether they are concerned about direct funding of nonprofits. HOME is just another discretionary government program worthy of being ditched in the name of deficit reduction and government shrinkage. The cascading attacks on HOME simply make it a more attractive candidate for budget cutters in Congress to attach to the list of programs to be zeroed out. The nonprofit sector has to gear up to fight for discretionary spending programs that constitute the social safety net protecting those in need. But beyond that generic principle, the national nonprofit leadership organizations that claim to fight for the interests of nonprofits in the federal budget have to fight to protect and preserve those federal programs that have nonprofits at their core. To lose programs predicted on the functions and track records of nonprofits would be next to criminal. If the HOME program succumbs to the “fraud and waste” attacks blended with bipartisan commitments to cut $1.2 trillion or more from the federal deficit, the end result would be that a program with clear benefit to nonprofits—where nonprofits have been the avatars of the program’s commitment to inner city and rural poor communities—would be lost. The collateral damage would be the symbolic loss of a federal funding program recognizing the distinctively important nonprofit role in guaranteeing our nation’s commitment to social equity.